New York is not a place for pop. It's not a town of actors who want to be singers who want to be famous and get on the Fuse network. We like our music a little louder, we like our beats a little harder, and we like our parties a whole lot dirtier. 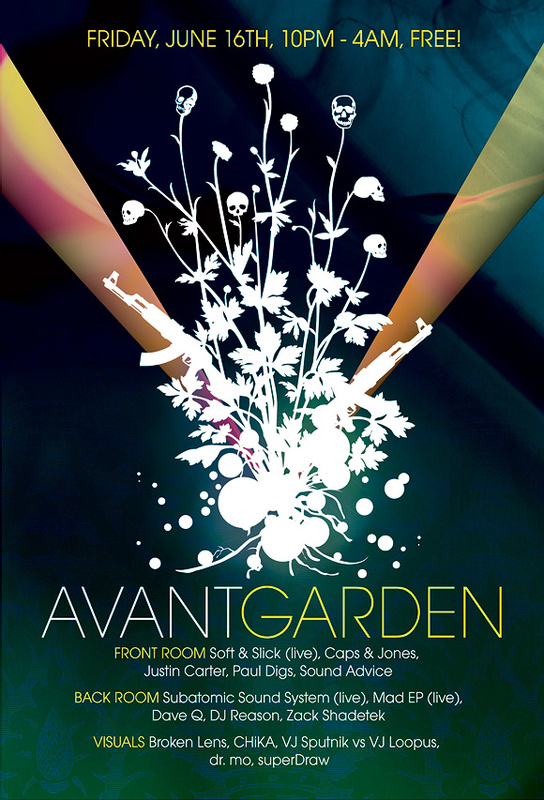 Such was the premise behind the first Avant Garden event, a multi-sensory event experience put together by Defined by Media and FreeNYC. Comprised of three live performances, seven DJs, and six multimedia artists, the event was a full sensory spectacle. To match the event, Defined by Media developed the key art and identity for the event (above) as a visual contrast between the celebration of new artists and the “dirtier,” intrigue of the city’s night life. The artwork was later extended into magazine ads, flyers (below) and online banners. 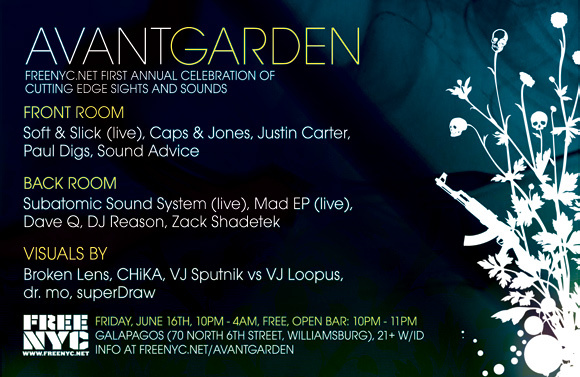 Design, develop, and curate Avant Garden, a New York City event for multi-sensory emerging arts.